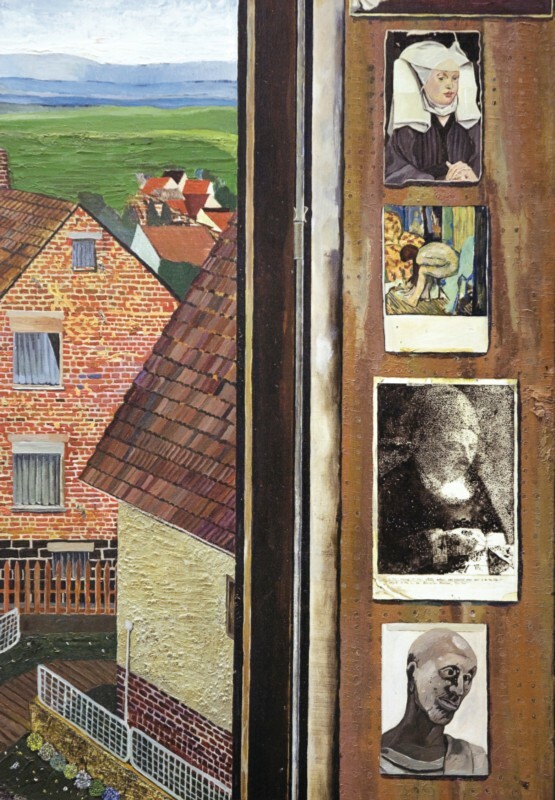 Tim Nicholas interviews painter Simon Dinnerstein about his work and his Fullbright Triptych, on view at the German Consulate, New York through April 30, 2014. Nicholas notes that the triptych "doesn't fit neatly into any particular movement, tradition, or historical style. It could just as easily relate to conceptual art as to figurative realism... This painting seems to me pre-modern, modern, and post-modern all at once." Dinnerstein comments: "Though the Triptych has conceptual and philosophical underpinnings to it, it is a painting that was produced by a painter. While it is true, I am interested in philosophy and the world of dream and conjecture and thought, I operate within our world, producing drawings and paintings. It appears to me that in the fine arts today, artists simply abstract some aphorism or truth and exclaim: let's talk about this... I think that there is a strong surrealistic thread that runs through my work. I am not sure entirely how to describe this direction: but hyper-real, fanatically real, eerily real, would certainly be starting points. It has always felt important to tie in this heightened reality with something inward, with finding some inside core of the individuals that I am depicting. Also, there is an interest in abstraction and space and shape, which take the works away from a literal realism. Texture, impasto, the use of the palette knife also gives an abstract underpinning to this idea of reality. In a sense, one is coming at reality from the point of view of diverse artistic attack modes. And, use whatever you want, as long as it enhances your artistic vision."